CTFishTalk.com: Water temps? 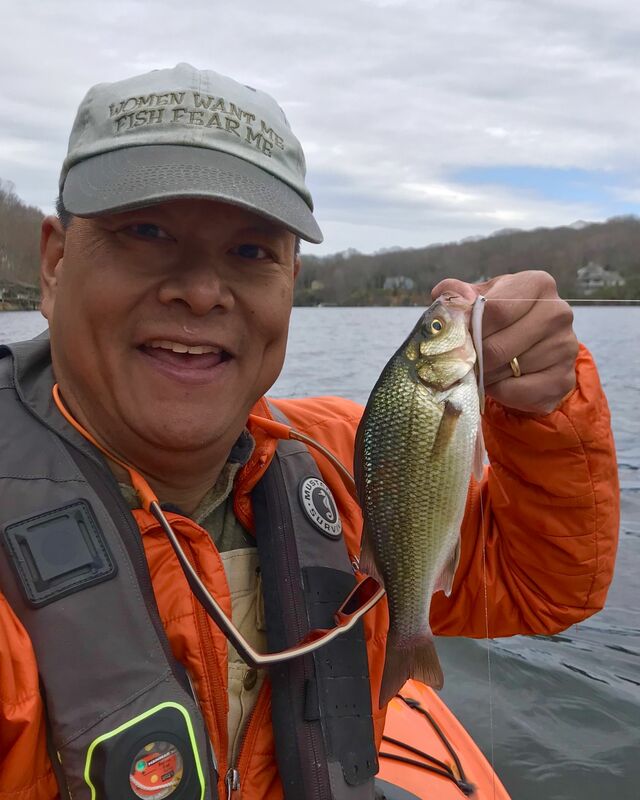 - Connecticut Lake Reports ( CT Lake Reports ) - A Community Built for Connecticut Fisherman. Posted: Thu Mar 28, 2019 5:03 pm Post subject: Water temps? Anyone know what the water temps of the lakes/ponds are right now? Thanks in advance! Strangely, I haven’t been on any lakes, lately. Last Friday, the water temperature in Hamburg Cove off of the Connecticut River rose from 46 to 48 degrees between 12:20 pm and 3:45 pm. I used a highly accurate cooking thermometer to measure the temperature of the water at the surface next to my kayak. 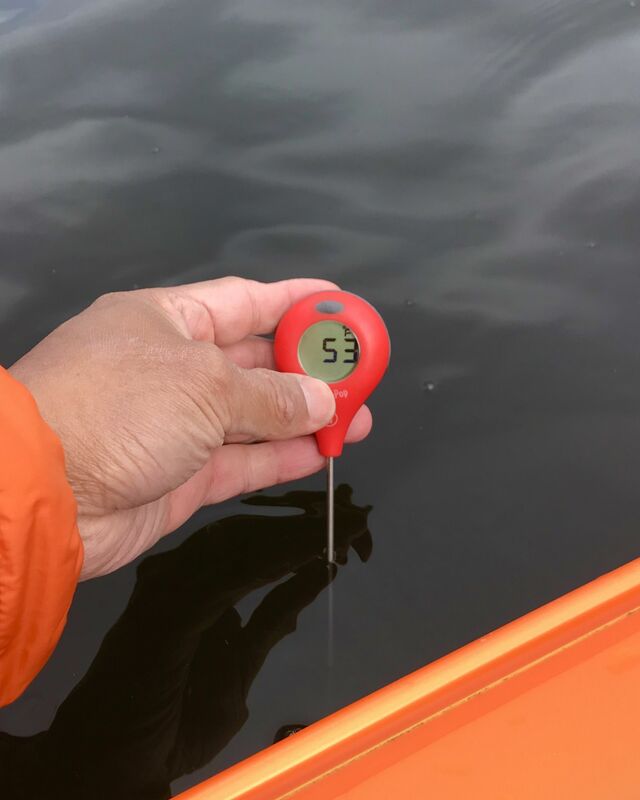 Last Saturday, the water temperature in Chapman Pond off of the Connecticut River was 46.2 degrees at 3:30 pm. I happened to take a photo of the fish finder display on Dan1’s boat. Last Saturday, Wanna Fish (aka Carl) was on Lake Lillinonah from about 8:30 am. He saw water temperatures of 45 degrees in the main lake and up to 49 degrees in the bays. Thanks PECO! - I am about to break out my kayak this saturday and hit some lake somewhere...lol. 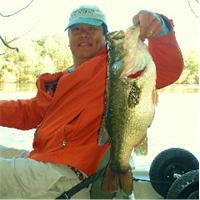 I thank you for providing me this info because I know that one the water temp hits 50 degrees, the BIG female bass start to move in and I'm after a double-digit lunker! Yesterday, I paddled a shallow pond in Andover and Hamburg Cove, again. The surface water temperature in the pond was 49 degrees and the cove was still 48 degrees. I caught 3-1/2 dozen fish of six different species. Unfortunately, only one of the fish was a white perch. The other species were yellow perch, largemouth bass, chain pickerel, black crappie (including a two-pounder!) and smallmouth bass.